From the author of Dunk comes this sparkling new novel that covers a year in the life of high school freshmen Scott Hudson, who is sideswiped by the unexpected news that his mother is about to have another baby. In a hilarious and touching journal addressed to the unborn intruder, Scott bares his soul as he copes with the trials and tribulations of a life that is changing faster than he wants it to. 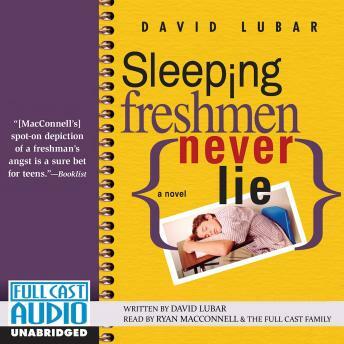 Filled with Lubar's trademark wit, enlivened by unexpected twists and turns of plot, Sleeping Freshman is widely considered as one of the best YA novels of 2005.